COBOL defined business software development for decades. Now, is it over the hill or just hitting its prime? Elastic COBOL is part of Heirloom Platform-as-a-Service (Paas), an application development toolset that is a plug-in to the Eclipse IDE framework. 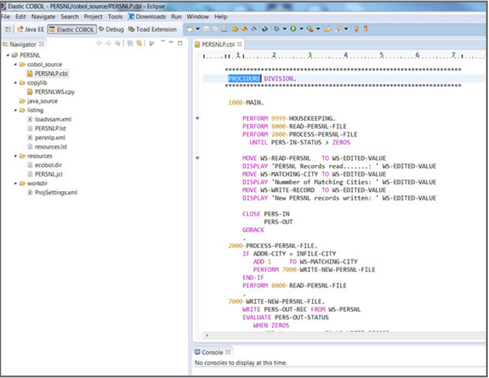 Elastic COBOL allows mainframe applications (including CICS and JCL) to execute as Java applications. You can continue to develop applications in COBOL or in Java, or both, enabling the transformation to Java to occur at a pace that is optimal for your business. You can download Elastic COBOL for free. It is available on Windows, Linux, Mac OS X, Raspberry Pi and the cloud. That’s right — Raspberry Pi. So you can get out there and build an enterprise accounting system on a platform that lives in an Altoids tin. As with so many of these compilers, Java (rather than machine code) is the target. People will argue about whether that’s a good thing or not, but the fact is that it makes the compiler much simpler to write and maintain. So get out your soldering iron, dust off your COBOL, and get your Altoid tin running.